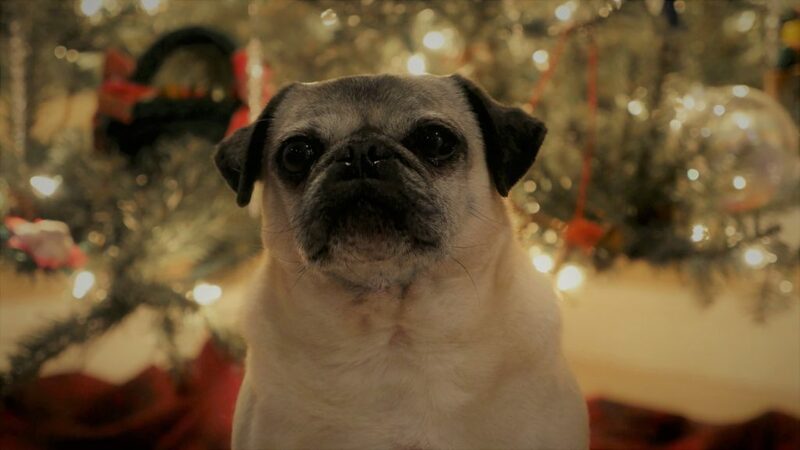 Nickie the pug on the night before Christmas! little Nickie was waiting, just cute as can be. and she is so joyous for all of these things. with visions of treats and great toys in her head. and such smiles will be shared before the day is done.